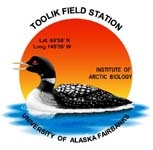 » Arctic 2006: Relative percent cover was measured for plant species on Arctic LTER experimental plots in moist acidic, dry heath and moist non-acidic tundra, and for Sagavanirktok River plots in tussock and heath tundra. Version 3: Added LTERNET Data Access server proxy for Excel and comma delimited data files. Version 4: Upadte LTERNET Data Access server proxy link for Excel and comma delimited data files. Changed from knb to das in url. Version 5: Updated metadata form to newer version (without site sheet). Fixed discrepency with header variable names. CH 25Jan2013 Updated to newer metadata with site sheet. CH March 2013.